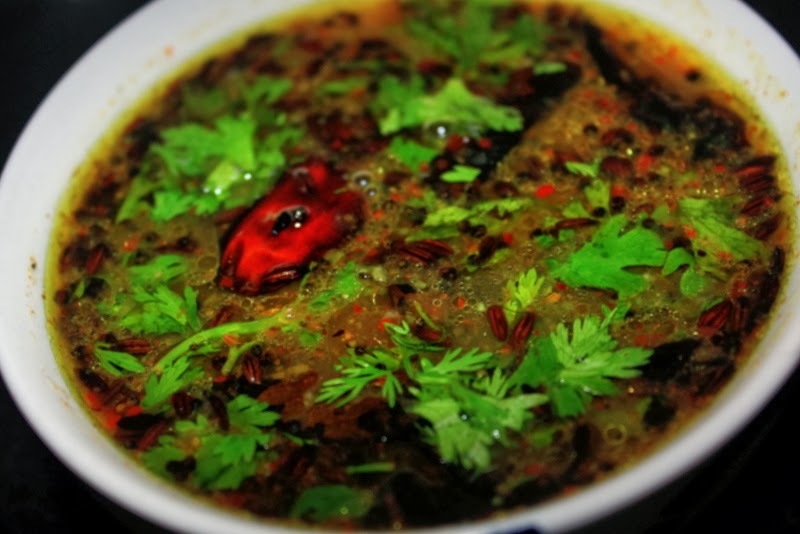 Rasam is one comfort food we enjoy in all seasons. I always prefer pepper rasam on a cold rainy day with hot piping steamed rice and some side dish like potato fry, or bhindi fry. In 365 days of a year, sadly I have cold for 300 days, so I end up making rasam pretty often to feel better!! Soak tamarind for 30 mins in 1 cup of warm water, remove the thick pulp out of it and keep it aside. Dry roast all the ingredients mentioned above into a fine powder. Boil the tamarind juice in a bowl with 1 cup of water with salt as required. Add the powdered masala and let it cook for 5 minutes. Meanwhile heat ghee, oil and add all the ingredients under tampering. 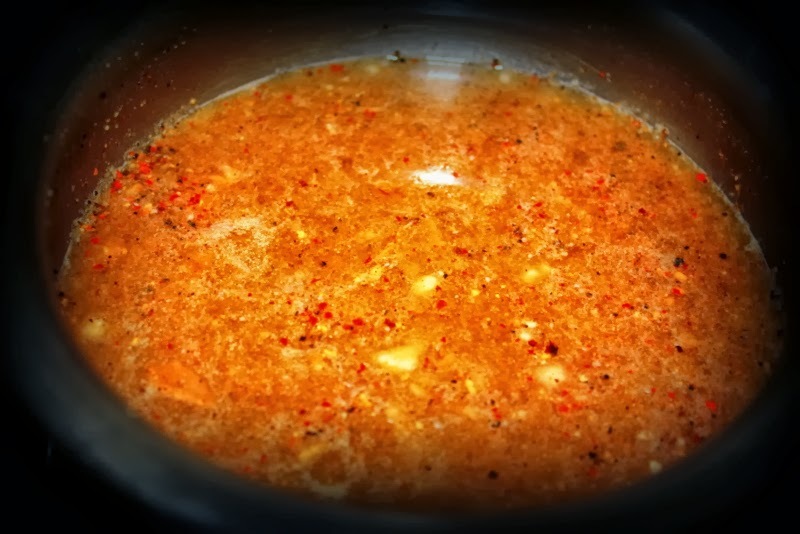 Add the tadka to the rasam and let it simmer for another 5 minutes. Garnish with fresh coriander and serve with hot steamed rice and any side veggie fry! Foggy mornings!! It has been so cold this season, temperatures are going low every where. Getting out of the bed is so difficult! All I want to do is have garam garam chai with some spicy pakodas, cuddle in a warm blanket and watch some feel good movie!! Pakodas are great company for this weather. 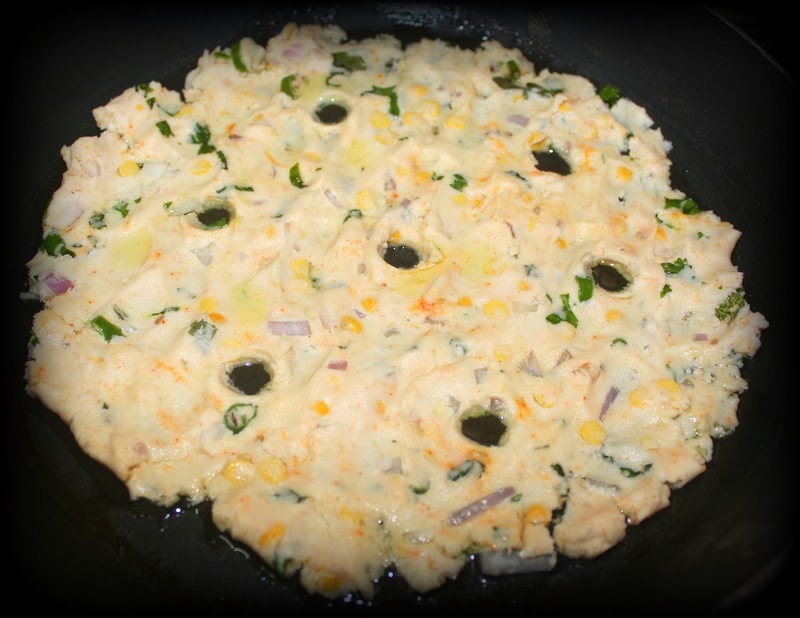 If you are bored with regular onion pakodas, make these healthy palak pakodas. 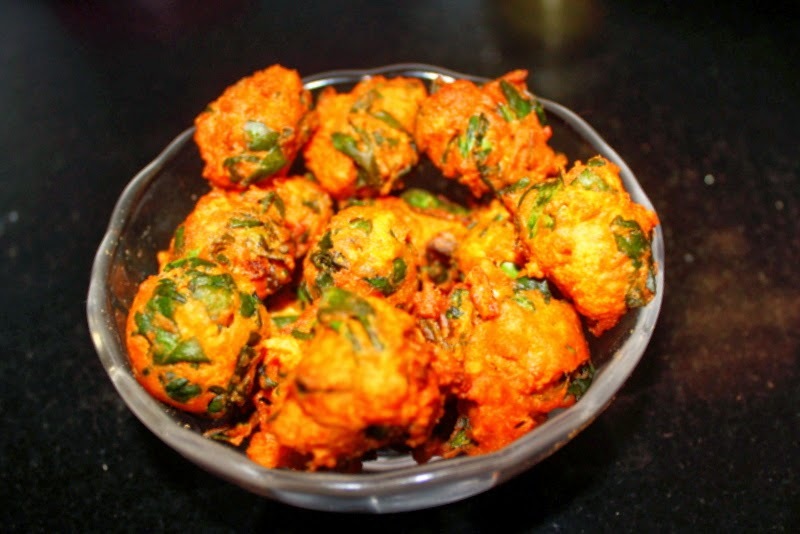 Kids who are usually not found of palak will also love these pakodas surely!! Wash spinach leaves, drain the water and chop them finely. 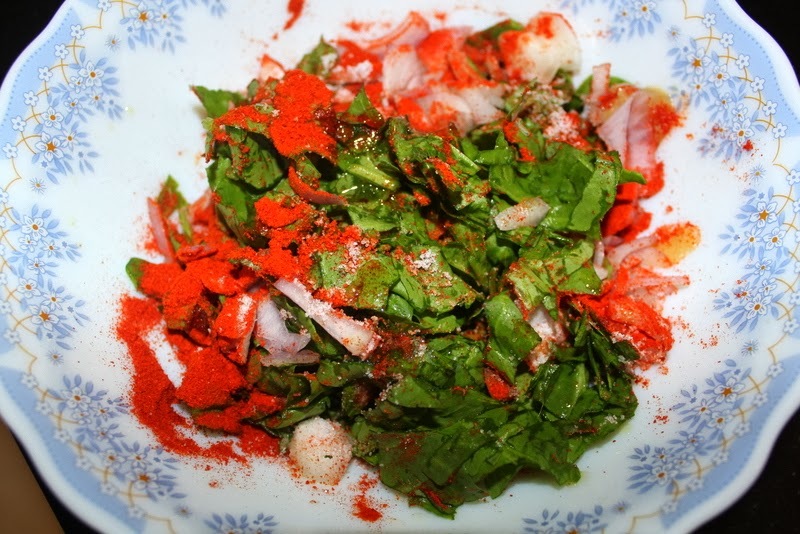 In a bowl, mix together chopped onions, chopped palak leaves, coriander leaves, gg paste besan, red chilli powder, salt, rice flour and some oil and mix with your hands. The onions will ooze out some water so use few drops of water only to mix everything. 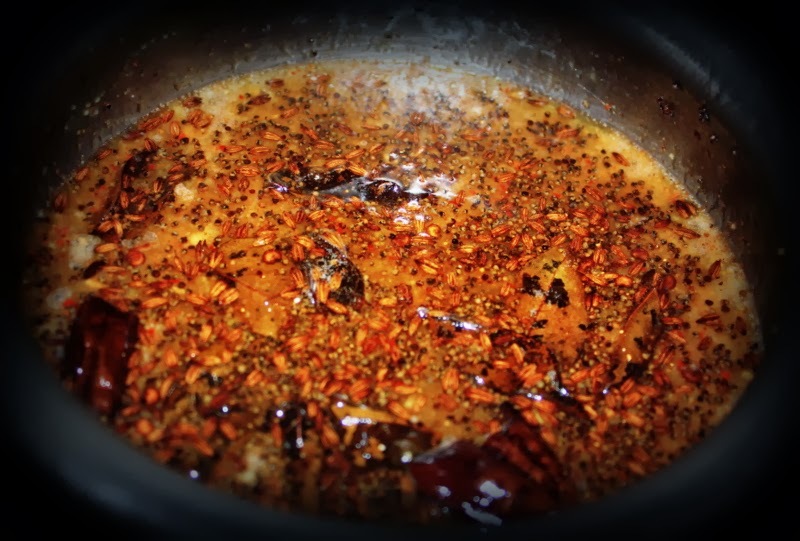 Heat oil in a kadai. Reduce the heat to medium and drop roughly shaped balls directly into the oil. Remember to fry them on medium flame only, this helps the palak to cook well. Fry until golden brown. Remove pakodas from the oil and drain them on a paper towel and enjoy this awesome weather with hot and crispy palak pakodas!! 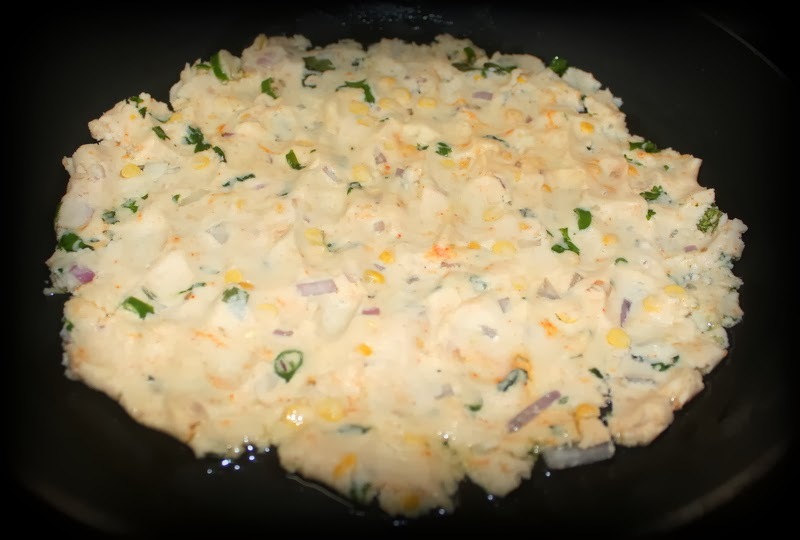 Sarva pindi a savory pan cake is an authentic telangana dish. 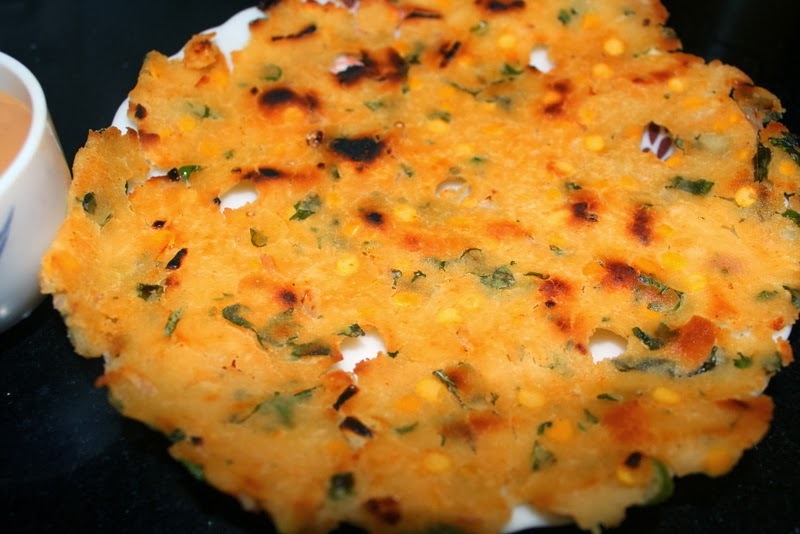 The origin of the name for this dish is interesting, here “Sarva” means a deep vessel and “pindi” means dough. So you are basically cooking dough/batter in a vessel! 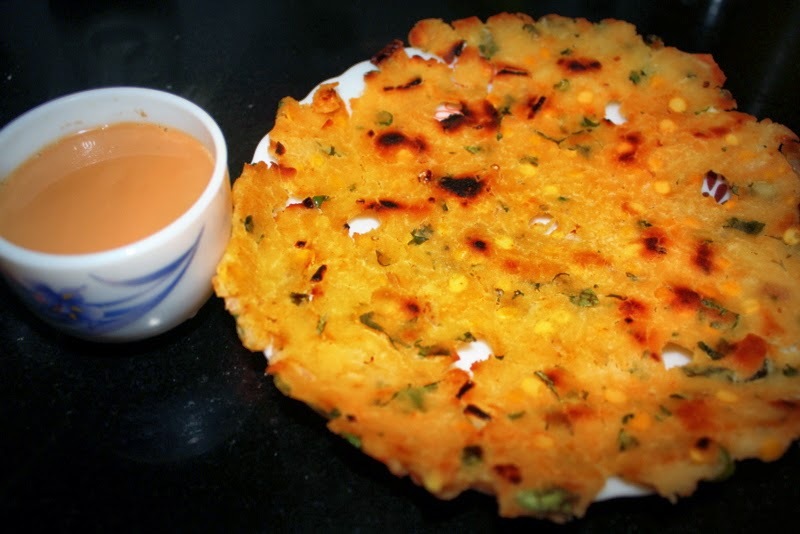 My mom used to make it on rainy days and we would enjoy them with hot cup of tea. 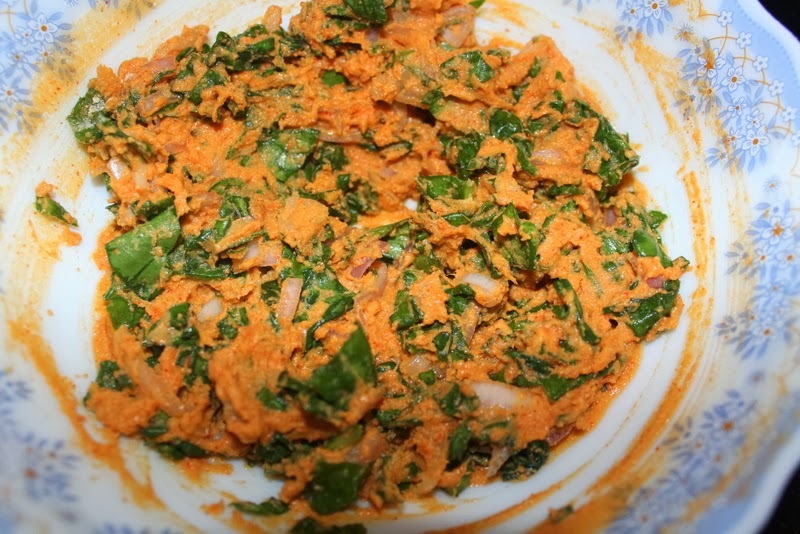 The recipe is very similar to the chekkalu recipe I posted last month. The only difference is this one needs a lot of patience as we cook this on low flame. 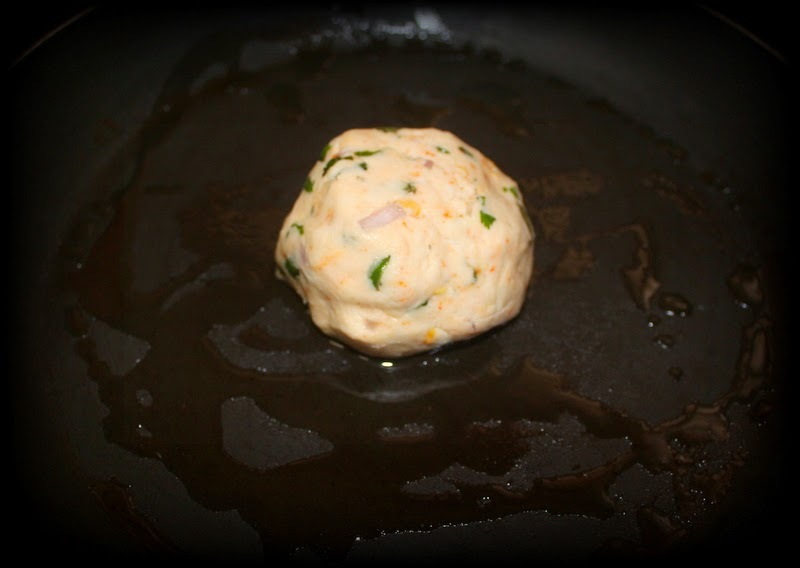 Grease a non stick pan and place the dough in the center and press gently on the pan with your hand into round shape. Make small holes all over and add oil on top of it. Cover with a lid and cook on slow flame for 15 minutes till it is golden brown colour and look crispy. Flip over and cook for another 5 minutes without the lid. 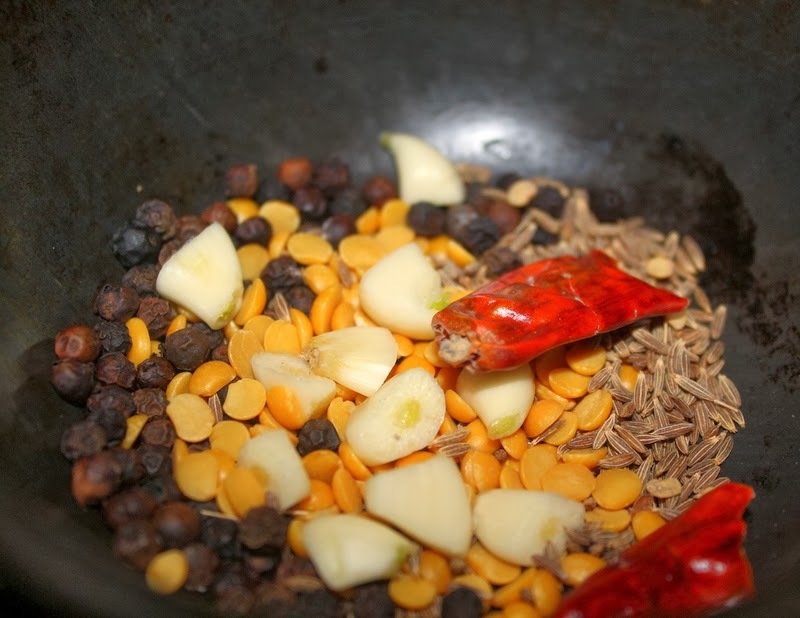 Serve hot sarva pindi with any pickle and some masala chai!